It’s the CV that’s never started that takes the longest to finish. 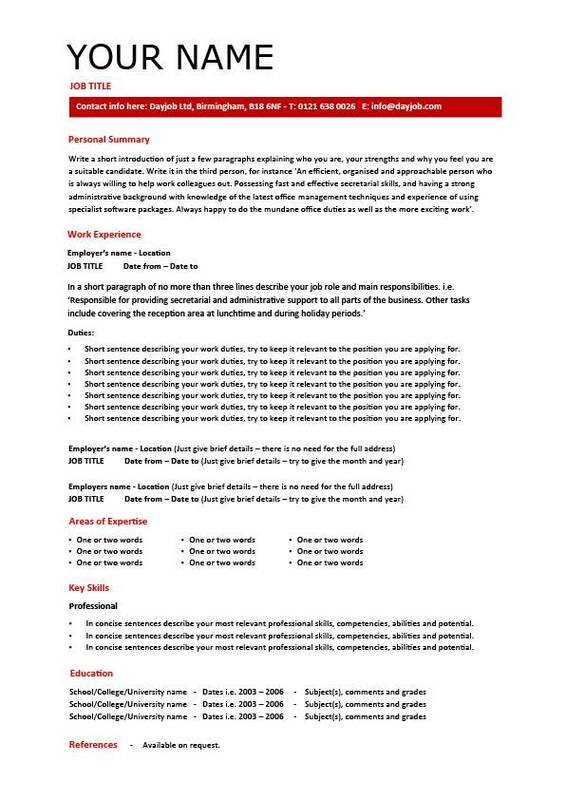 Use our CV Builder – it’s totally FREE! Our builder allows you to create, edit, save and download an unlimited number of stunning CVs, Resumes and Cover Letters. It’s a fast and effective way to put together an interview winning document that will get you noticed by the right people. Best of all its completely free! 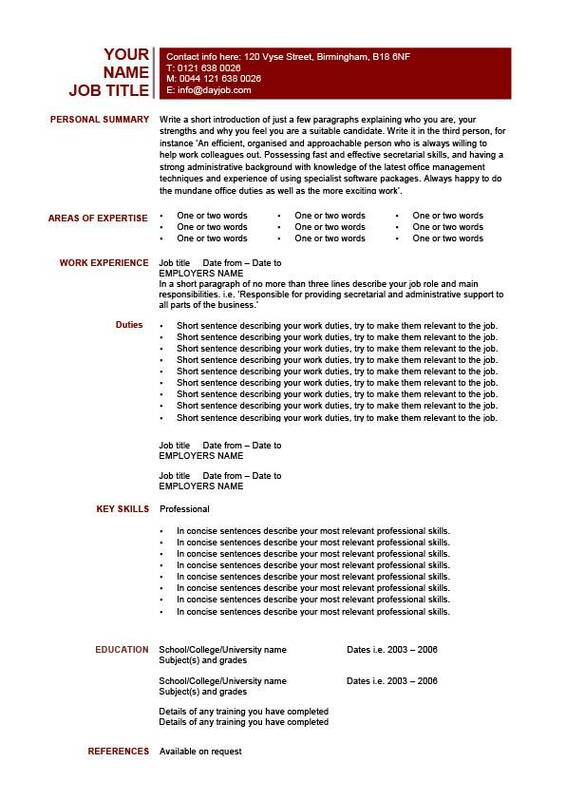 Yes, our CV Builder is ideal for putting together Resumes and Cover Letters. It’s perfect for people who need a professional CV quickly. Within a few minutes you can create a superb document thats ready for downloaded. At the end of the building process you will have a CV that will showcase your skills and have recruiters queuing up to interview you. It’s great for recent graduates, experienced professionals, the unemployed, those returning to work or just someone looking for their first entry level job. Taking your time to put together a good CV can be one of the best career investments you ever make. Out tool is an easy to use resource that will vastly increase your chances of success and getting invited to that all important job interview. Our unique and innovative tool is one of the best CV builders on the Internet. It draws on our company’s long and successful history of giving quality career advice to jobseekers. Dayjob.com has been online for over 10 years, attracts on average over 1 million users ever month and gives all of them free access to 1000’s of professionally developed Curriculum Vitae’s, resumes and cover letters. 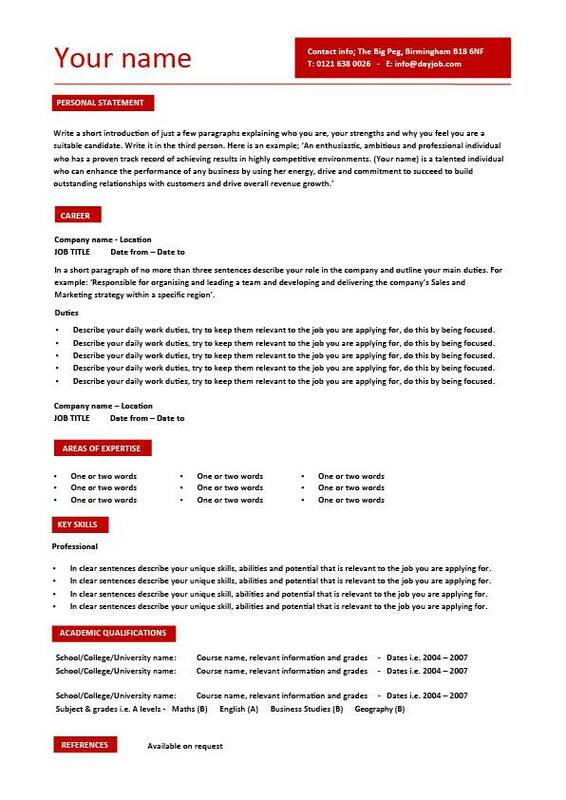 It is ideal for time constrained job seekers who need help writing a top notch and powerfully presented CV that will make them stand out from the competition. 1000’s of professionally written examples of key skills, power words, sentences and statements that you can include. A wide range of clear, concise and high impact CV styles, templates, designs and layouts to choose from. A step by step guide that gives you expert hints and tips about putting your CV together. Numerous career objective examples that are relevant to a wide range of jobs and industries. Respond quickly to a job advert you have just read. 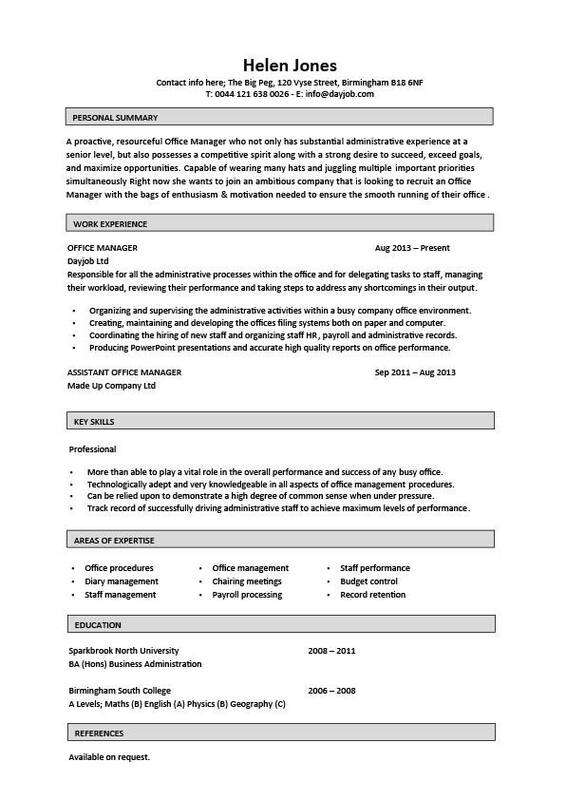 Put together a professional looking CV that will be perfect for the job you are applying for. Simultaneously create and store many different versions of your CV. 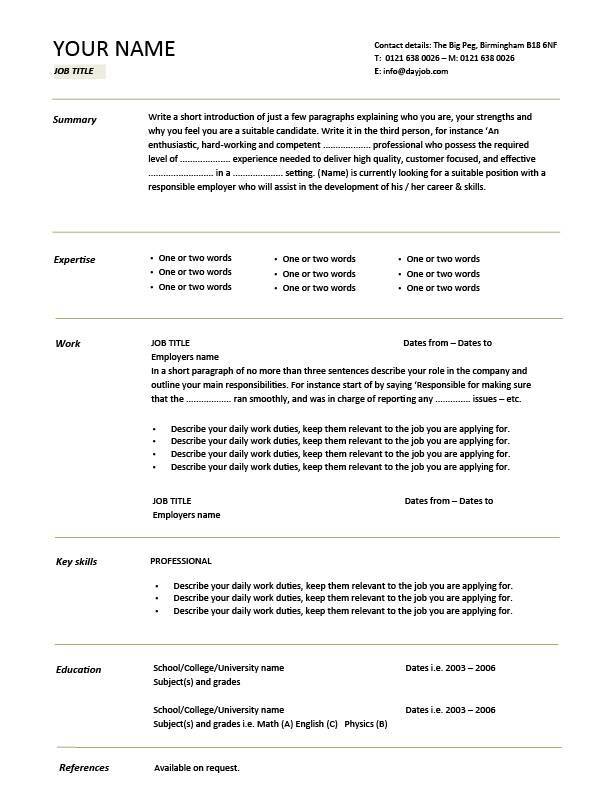 Download your CV anytime you want in various formats such as MS Word. 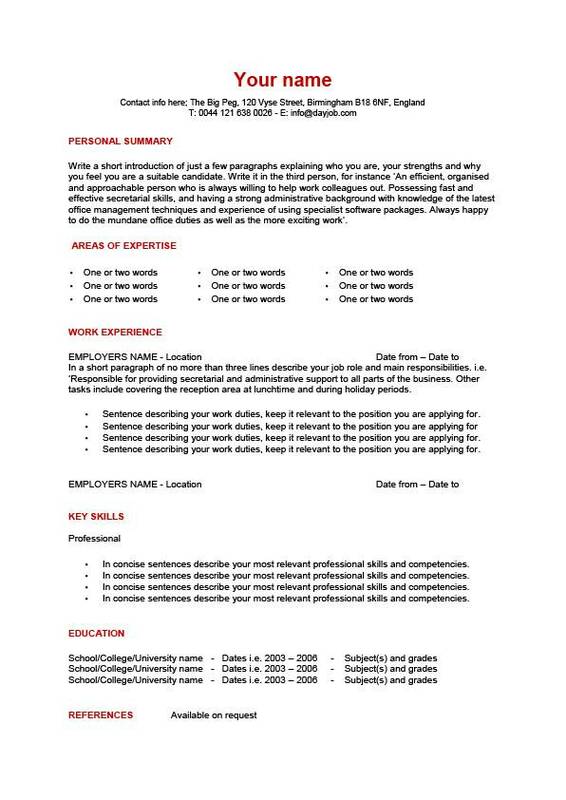 Edit your CV much as you like. Work on your CV day or night 365 days a year. Write different CVs for different jobs, fields and industries. 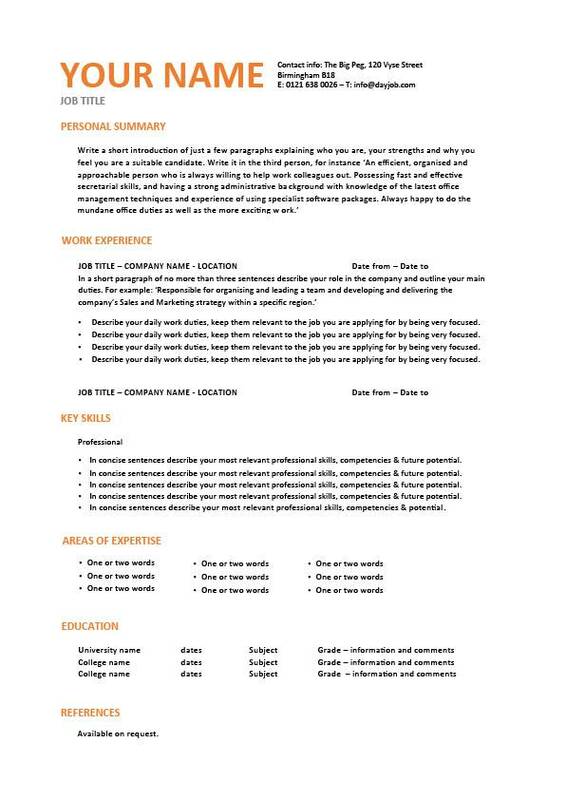 Chop and change your CV layout with a few simply clicks. Access your CV from anywhere. Save you a lot of time, effort and headscratching. Give you the confidence to apply for the jobs you really want. Give you more time to focus on preparing for interviews. Enter your personal details (name and contact information) to create an account. Use the in-built editor to enter text, change the layout, choose the design and select relevant job specific skills from the 1000’s of prewritten examples. Preview your CV to get a real idea of how it will look when it’s finished. 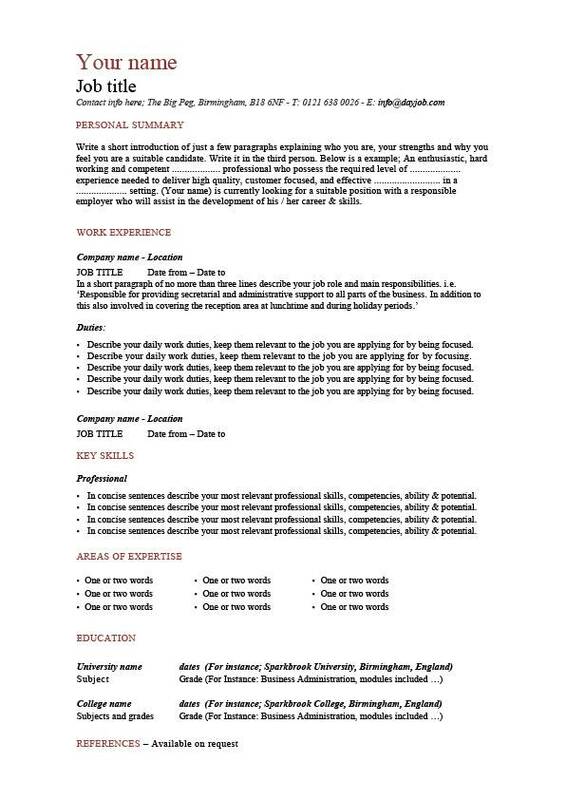 Download, email or print off your finished CV. 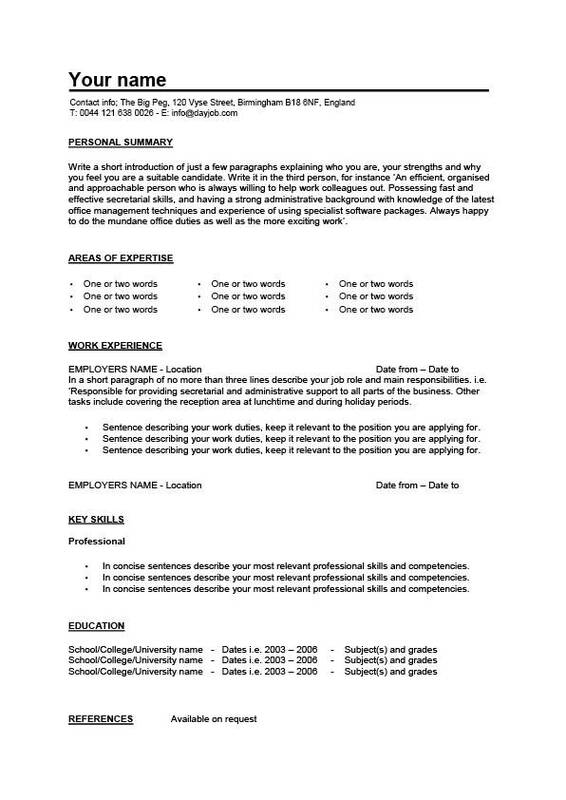 What to put in a CV and how to say it is not only very important to grabbing the attention of a Hiring Manager, its also one of the hardest parts of writing a CV. To help you in this regards we have put together a long list of well-crafted and articulate examples of how to explain your skills, competencies and suitability for a targeted job. Saved your employer time by say finding a quicker way of doing things. Improved processes (i.e. office procedures) and made them more efficient. Sourced something cheaper or found a less expensive way to do it. Improved your employers reputation and brand. Career Objectives should be sort, sweet and to the point. They are an introduction to the rest of your resume and must give the reader a quick idea of who you are and why you think you are the best person for the job. If written correctly they can be an ideal way to show that you are a strong candidate who can succeed in a role and bring a lot to a company. I am someone who honors my past, celebrates my present and imagines my future. As a capable ……………….. who has a long track record of driving operational efficiency I feel I would be a perfect candidate for your position. I come from an experienced background, and am able to bring an assortment of knowledge and skills to every area of your business. Furthermore, as a solid team player, I can not only work to tight deadlines, but also have plenty of initiative to deal with unexpected problems. In this regard I will always be there to initiate any corrective actions needed to address specific operational failings. On a personal level I am a cool headed individual who never overreacts to a situation, but instead keeps in control no matter what is going on around me. Right now I am keen to join a reputable company that is known for only hiring the very best. A business is only as good as the people it employs, and without wishing to sound boastful I believe that I am the best candidate for your recently advertised ………………vacancy. Aside from possessing all of those competencies you require in an applicant, I am also someone who can be relied upon to carry out my duties in accordance with the highest standards, policies and procedures. As a true professional I will always behave in a helpful manner with colleagues and can be relied upon to be courteous at all times. Throughout my career I have regularly provided advice and guidance to those who have sought it. Now after working in this field for over three years my aim is to join a company that will offer me real job satisfaction, as well as excellent career progression prospects. I have a strong interest in applying for your vacancy, as I firmly believe that I meet all the essential criteria for the role. I am confident that I can make an effective and useful contribution to your operations by using my skills to implement quality standards, identify new opportunities for growth and find new revenue opportunities. What really sets me apart from everyone else is my ability to make things happen and my deep understanding of the commercial realities that affect organisations like yours. My aim right now is to further an already successful career by joining a company like yours and securing a position that matches my extensive qualifications, experiences and competencies. A dedicated …………..… who has a solid background in ……………. As a member of your company (name) will have an immediate impact on your core operations, and be at the forefront of pushing everyone towards a common goal. She is a high achiever who comes to you with a successful track record of operating effectively under pressure. Her key skills include but are not limited to defining best practice approaches, processes, tools and services. Beyond that which is already mentioned in her resume, she is someone who has the energy, determination and initiative needed to overcome seemingly insurmountable obstacles. On a personal level she has a strong sense of responsibility and is not afraid to question inappropriate behaviour. Having attained most of her career goals she would now like to join a company that looks after its own staff just as much as its customers. (Name) is someone who always demonstrates integrity, fairness and consistency in her decision-making. She has a proven ability to function and flourish in high pressure environments where targets have to be hit, and is confident that she can quickly become one of the most valuable members of your company. To date it has been a combination of her unique skills and personal drive have to date been the backbone of her successful career. Her experiences to date have been very valuable in showing her how to work with companies that have a global presence. On a personal level she is easy to get along with, responsive to change and committed to learning from every good or bad experience. At this moment in time she is looking for a suitable position that will allow her to further develop her skills, experiences and ability. A high performer who expects to succeed in any tasks given to her. (Name) is an outstanding individual who is ready to take on the exciting and vitally important role that your company is trying to fill. There is nothing that (name) cannot or will not do to ensure that your business is a success. She is exactly the sort of person that you are looking for and is perfectly suited to working in a fast-moving sector like yours where success depends on constant innovation and high performance. On a commercial level she is very good at building partnerships, understanding trends, analysing key metrics and evaluating information to make better decisions. At this precise moment in time she would very much like to join a company that is known for its high calibre of staff. Saying sorry in an assertive way rather than a passive way. Can regularly interface with senior management. Explaining complex technical issues to a non-technical audience. Asking open and probing questions to fully understand the views of others. Thinking in advance about what I am going to say in a meeting. Conveying messages in as few words as possible. Using body language, eye contact, tone, hand gestures and facial features when communicating with others. Accurately transferring information from one place to another either vocally or by written form. Quickly understanding what another person is saying. Communicating effectively with superiors and subordinates alike. Rephrasing what the other person has said to ensure complete understanding of a point. Encouraging people to talk to each other. Maintaining good eye contact during a conversation. Tailoring my voice to the audience I am communicating with. Never speaking over another person, instead letting them finish before replying. Paying attention to a person’s nonverbal signals. Thinking about what I want to say before I say it. Able to enter into constructive dialogues with people with whom I disagree. Carrying out tasks with a high degree of confidence. Choosing the right people for the right tasks. Willing to trust other to get a job done. Developing others to do a task properly. Delegating smaller tasks to new members of staff so as to build up their confidence and competence. Delegating clear outcomes and making them measurable. Being clear to staff about the time they have to complete a task, the money they can spend, and the people they can call for help. Able to quickly adapt to the changing needs of a company. Open to different ways of working. Not afraid to give something new a try. Ability to visualise ideas and solutions. Encouraging others to come up with ideas. Highly imaginative and able to come up with good ideas on a regular basis. Expert understanding of information technology systems and processes. Keen to work on cutting edge technology. Always involved in what is going on around me. Careful not to be domineering. Controlling how a workforce behaves. Making sure everyone understands their role. Meaningfully involving other people in a project. Determining how much time is needed to carry out a task. Initiating action and then making sure it is done. Never waiting for people to volunteer, instead firmly giving tasks to people I think are able to do them. Deciding on what has to be done for a specific goal to be achieved. Ability to negotiate and build consensus across multiple functions. Building high-performing teams that want to win. Serving as a bridge builder between different groups. Not meeting expectation but exceeding them. Can take staff performance to the next level. Managing resources at all levels across a project. Willing to assume all project management responsibilities. Identifying the consequences of not completing a project or job on time. Motivated and driven to succeed within an organisation. Never viewing a request for help in a negative way. Putting together the resource staff need to complete their duties. Bringing out the very best in others. Use this to disclose your career goals and also explain to a potential employer how your career aims fit in with their overall company objectives. I want to work for a company that …. Has a great marketplace reputation. Has a diverse environment and is proud to be an equal opportunity employer. Will provide me with the resources I need to go as far as my talent will take me. Will help me achieve my personal as well as career goals. Has lots of future potential for career advancement.